MM Interior Design: PRICKLY PEARS! 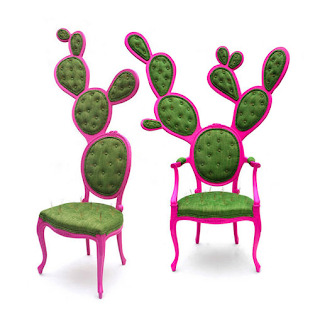 A great way to get unwanted house guests to leave quickly - seat them in a prickly cactus chair! The Cactus Chair by designer Deger Cengiz certainly does not look too comfortable either. The designer notes that it is an interpretation to investigate the effect of visual data to the user's experience. 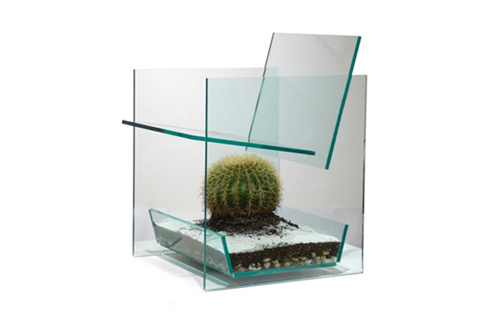 The cactus gives a temporary discomfort even though the user knows that the cactus is not a real threat as it is behind glass.